Socks are often a bland subject — they are just the material you wear between your feet and shoes to keep them warm and blister free! In recent years, Sock of the Month clubs have made sock wearing more of a sport, with a proliferation of fun sock subscriptions that add style to a formerly boring subject. However, as you invest more and more in socks, its important to know the different types of sock styles that are available. Classic dress socks are usually Crew Length socks. They rise 6-8 inches above your ankle and typically will cover any skin that emerges when your dress pants rise up slightly (such as when you are sitting down). Crew Length socks are very popular and classic style for both men and women. Ankle Length Socks are classic “no show” socks that display more of your ankle skin than socks. These are often considered much ‘cooler’ as a style to pair with your low cut shoes. Its rare to find dress socks set as ankle length, because usually dress socks are worn with pants and the socks should rise higher on the leg to not expose skin. 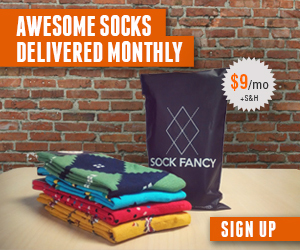 Calf Length Socks are exactly what they sound like — socks that extend up and above your calf. Its rare for men to wear calf length socks (at least intentionally! ), but women often wear calf length socks with a skirt or dress. One step above Calf Length Socks are Knee Length Socks, which extend another 6 inches or so and go above your knee. Again, its extremely rare to find a man wearing socks this high, but women will often wear them when in a dress or skirt attire. If you are looking for a great dress sock of the month club, we recommend looking at Ozone Socks for both men and women.